From 12 May 1824, her married name became Cecil. After her marriage, Isabella Poyntz was styled as Marchioness of Exeter on 12 May 1824. [S6] G.E. Cokayne; with Vicary Gibbs, H.A. Doubleday, Geoffrey H. White, Duncan Warrand and Lord Howard de Walden, editors, The Complete Peerage of England, Scotland, Ireland, Great Britain and the United Kingdom, Extant, Extinct or Dormant, new ed., 13 volumes in 14 (1910-1959; reprint in 6 volumes, Gloucester, U.K.: Alan Sutton Publishing, 2000), volume III, page 11. Hereinafter cited as The Complete Peerage. Her married name became Taylour. Her married name became Seymour. After her marriage, Hon. Mary Hood was styled as Marchioness of Hertford on 25 January 1884. [S6] Cokayne, and others, The Complete Peerage, volume II, page 319. From 20 March 1627/28, her married name became Calvert.1 After her marriage, Hon. 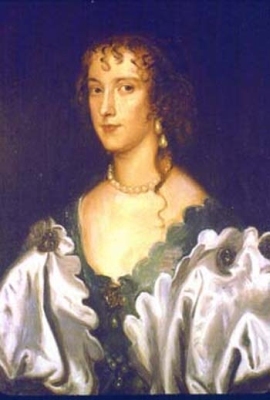 Anne Arundell was styled as Baroness Baltimore on 15 April 1632. [S15] George Edward Cokayne, editor, The Complete Baronetage, 5 volumes (no date (c. 1900); reprint, Gloucester, U.K.: Alan Sutton Publishing, 1983), volume II, page 188. Hereinafter cited as The Complete Baronetage. Audrey Ethelreda Harrison was the daughter of Edward Harrison and Frances Bray.1 She married Charles Townshend, 3rd Viscount Townshend of Raynham, son of Charles Townshend, 2nd Viscount Townshend of Raynham and Hon. Elizabeth Pelham, on 29 May 1723.2 She died on 9 March 1788. Her married name became Townshend. After her marriage, Audrey Ethelreda Harrison was styled as Viscountess Townshend of Raynham on 21 June 1738. [S6] G.E. Cokayne; with Vicary Gibbs, H.A. Doubleday, Geoffrey H. White, Duncan Warrand and Lord Howard de Walden, editors, The Complete Peerage of England, Scotland, Ireland, Great Britain and the United Kingdom, Extant, Extinct or Dormant, new ed., 13 volumes in 14 (1910-1959; reprint in 6 volumes, Gloucester, U.K.: Alan Sutton Publishing, 2000), volume XII/1, page 807. Hereinafter cited as The Complete Peerage. [S1041] Valerie Saari, "re: Ellis Family," e-mail message to Darryl Lundy, 23 February 2004. Hereinafter cited as "re: Ellis FAmily."